Dogs are awesome, but no home inspector wants to fend off a temperamental terrier or cranky Chihuahua just to reach the crawl space. Friendly people are awesome, too, but too much conversation is distracting and wastes your time. Whether or not they realize it, homeowners play a role in how efficiently you work. Here are six ways they can impede your progress and what you might ask of them instead. Grumpy dogs mean you’ll have to watch your back while you work. Friendly dogs also slow you down, since hardly anyone can resist a happy, tail-wagging helper. 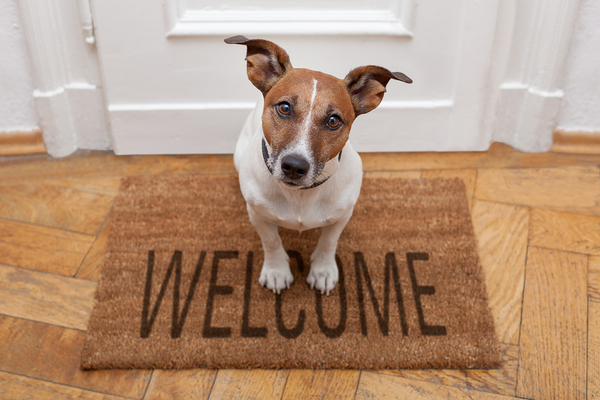 Ask homeowners to move pets to another location until the home inspection is over. Whether they take them for a walk, board them for a few hours at a kennel, or just move them to another part of the house, a pet-free home is easier and less distracting to manage. If the homeowners are busy packing up, chances are there’ll be moving boxes stacked up in every room. You can’t inspect what you can’t see and reach. Homeowners should move boxes to an area where they won’t stand in your way. If they’re in the center of a room, they might also block overhead light fixtures. Every outlet that you can’t access is a potential defect that might go undiscovered. With heavy sofas, chairs, beds, and cabinets against the walls, half or more of the receptacles could stay hidden. Explain to the owners why you can’t move furniture. It puts you at risk of a liability claim if you scratch the floors or break something, and it could also saddle you with a back injury. With furniture pulled away from the walls, your inspection can move ahead on schedule. A locked door is a space that can’t be inspected. It doesn’t matter if it’s a room, closet, attic or a crawl space, where there’s a door, it should be unlocked and accessible to you. Most homeowners probably won’t lock doors to keep you out. More often, it’s just an oversight. If a door is always locked to keep kids from playing inside or to protect things such as valuables, they might not think about unlocking it before the home inspection. Attics can be no man’s land. Stuff goes in and rarely comes back out. Over time, an ordinary attic can become filled with old clothes, books, photo albums, and holiday decorations with little space to move around inside. An overstuffed attic can hide a host of home defects. Although they might not want to hear it, you should ask homeowners to clear the way for you to work. Although your customer is usually the buyer, homeowners live there. They have a right to stay put during a home inspection. That means they might also want to follow along and ask questions while you work. Remember for whom you work. Your customer pays the inspection bill and might not appreciate the homeowner nudging in for free information. You don’t have to be rude to get a little space. Sometimes, letting the homeowner know that you need to concentrate is enough to ward off overly curious owners. 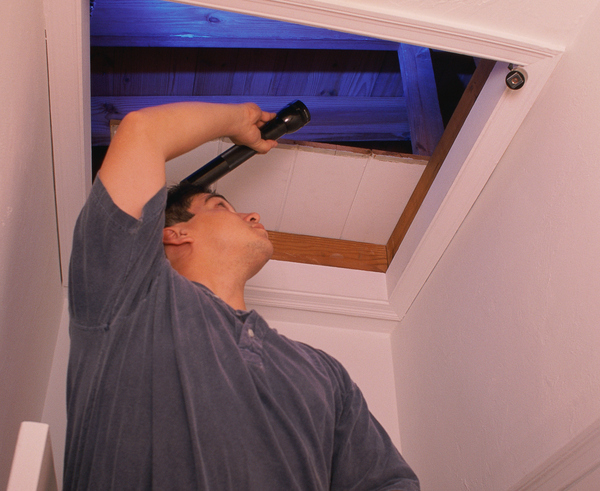 More often than not, homeowners don’t want to get in the way of a home inspection. More likely, they just don’t think about how their actions (or inaction) affects your ability to work. They live with their pets every day, so they might not realize how disrupting dogs and cats can be for an inspector. If they haven’t been in the attic or unlocked a closet door in years, they might not think about it before you arrive. You educate your customers with a pre-inspection agreement. Think about educating homeowners, too. The more everyone knows before you arrive, the fewer problems you’ll have on-site. If you’re not sure how to become a home inspector, you’ve found the right place to learn. Get a free course demo from ICA School and see what makes our online learning program a great choice.